Waddesdon participates in several conservation projects with the aim of reintroducing bird species which are under threat, as defined by the International Union for Conservation of Nature (IUCN) Red List which classifies species according to degree of danger of extinction. 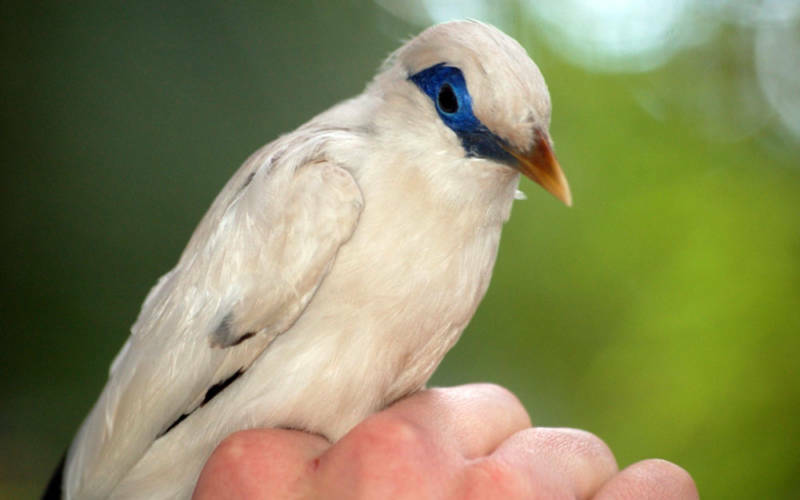 The Rothschild Mynah Conservation Project was set up by the Begawan Foundation in 1999 and Waddesdon’s Aviary conservation fund has supported the project since 2012. The species is classified as critically endangered – the highest danger of extinction in the wild. Waddesdon has bred these birds since 1971 and in 2011 four females, along with 16 other birds from the European Endangered Species Programme, were sent to Bali to improve the genetic pool for further breeding. The first successful release into the wild was made in 2012. The Black-and-white Laughingthrush (Garrulax bicolor) from the Indonesian island of Sumatra is classified as vulnerable on the IUCN Red List indicating that there is a high risk of endangerment in the wild, due to its popularity in the trade of cage birds, and there is a rapid decline of numbers in the wild. 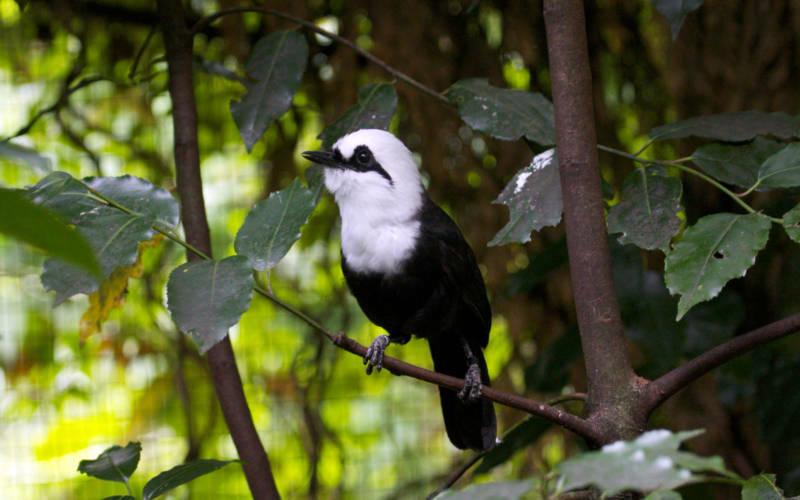 In 2008 the Cikananga Foundation’s Black and White Laughingthrush Breeding Programme was established with three pairs of birds rescued from the markets in Java. Waddesdon has supported this programme from its beginnings. At Waddesdon, the species had been hand-reared in 2005, but in 2011 we had our first parent-reared young. With the cooperation of European breeding programmes, the first successful breeding at the Cikanaga Wildlife Centre took place in 2011. Since 2014, Waddesdon has jointly sponsored the appointment of Anaïs Tritto, a French laughingthrush specialist, conservation biologist and scientist studying the behaviour of the species in its natural habitat. Watch the video about the first successful breeding of Black-winged Mynahs at Cikananga and their reintroduction into the wild.